"There’s a feeling of pressure to capitalize - and capitalize is kind of a weird word because there’s not a lot of capital to... “ize”, but to seize the opportunity when people are interested..."
I always sort of noodled around but my first full length play I tried to write was started when I started acting grad school so like eight years ago... and I sort of finished it at the end of grad school, so really I finished my first play five years ago, but had written short little things before that, and had made a couple short films. When I was in college a friend of mine had a radio show from 3am to 6am and we would write this radio serial for it every week but yeah, plays, for like 6 years or something... so I’m a much greener playwright than actor. I first acted in high school in New York but I was really like a jock, but at a pretty nerdy school so... not like ‘I’m wearing my varsity jacket to school’ kind of jock but... somebody dropped out of a play and I was in this class at school that was kinda like an acting class, and somebody asked me to do the play and I remember I missed a volleyball scrimmage to do it, and I got benched in the first game of the playoffs and we lost and it was very tragic, and then basically I applied to college based on where I thought I could play basketball... but then I didn’t make the team so I started acting. Did it come easily to you? Yes and no. I think I was always interested in making people laugh and being goofy so that idea wasn’t foreign but I think that people who know me would think it’s kinda weird that I’m an actor because I’m not the most extroverted of dudes. I didn’t really think I was going to act when I got out of undergrad and I started interning at a film company. 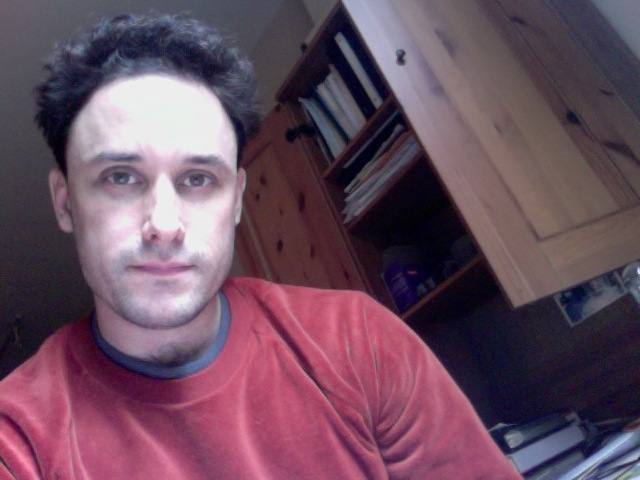 I was going to write and direct films and then I was answering phones and sort of doing P.A. stuff occasionally, which wasn’t the most creative, and I kinda missed acting, so like six months after I got out of undergrad, I was like, ‘I think I need to give it a shot,’ and I ended up going back to the National Theater Institute and taking a bunch of classes. Then once I kind of did it a little, I stuck around. When you graduated from acting grad school and had also written some, what were you thinking at that point, in terms of what you were going to do next? I think I had always wanted to write and I had spent the last ten years reading plays and being involved in the theater, so that’s the form that I most thought of... but I think I was always scared to write. I have a friend who graduated from NYU acting grad school and some of his friends are booking big jobs and he’s stressing. How did you feel when you got out? Well, definitely you feel some kind pressure to take advantage of the “heat”. There is a cache when you go to one of these places that people are checking you out and you feel like you have a limited amount of time before it will go away. At the same time, I went to NYU after having been on the streets of New York plying my trade for years, and being very used to being an out of work actor, so it wasn’t really anxiety-provoking in the same way. I was a little more experienced at living my life and was pretty realistic about life as an actor, as opposed to some kids that had gone straight from undergrad, which is a little more daunting – you step out into the world and it can’t really prepare you for the existential void of your own personhood, and being like ‘what do I do if nobody is telling me what to do with my days?’. And because I had laid the foundation already in New York, I did end up working a decent amount when I got out of school, which was partly helped by school but partly because I had already made x amount of connections, and then, of course, I can say it wasn’t that scary, but then you would also notice that two years after graduating from grad school I went back to a writing fellowship at Julliard. You got into Juilliard with the play you wrote in grad school? Yeah, actually, before I submitted it to Juilliard, I had gotten into the Cherry Lane Mentor project. Did someone recommend you for that? Basically, I knew the program existed and I looked at the list of nominators and I happened to know one of them, and I sent him the play and he was like, ‘yeah I’ll recommend this’. Did it give you more confidence as a writer? Totally. You’re just kind of hungry for any kind of acceptance and we had done it at NYU and it had gone really well, but I also knew it was a really friendly audience and supportive world, and the stakes were a little higher this time with strangers coming to see it and evaluating it and that was scary but also really helpful, and just another step helping me to convince myself that I could do it. It’s not school, proper. There aren’t any classes, just a workshop once a week and a occasional public reading with students or a production, but that was great for me because I had just gotten out of a really intense (acting) program and didn’t want that. You basically read a play a week and you talk about it and you’re absorbing what makes a play and what makes a play work, and further developing your aesthetic. It’s super supportive - both Chris (Durang) and Marsha (Norman) are, and I think they sort of cast the class in a way that is not so competitive, which is really helpful. When you got out of there, what was your trajectory? I just got out a year ago and it’s a similar feeling of, ‘ I need to have a play done’. Do you have an agent or did you get one through that process? Definitely. As an actor, it’s very rare that I get a job just out of an audition. People ask me to do things because they know me or have seen me in the past and I think in the writing world, there’s some of that as well, and because I am so much newer to it, I don’t have any of those connections, and people don’t know me as a writer so my agent is a huge help, and gives me access to places... so yeah I feel really lucky to have her. There’s a feeling of pressure to capitalize - and capitalize is kind of a weird word because there’s not a lot of capital to... “ize”, but to seize the opportunity when people are interested. A need to write good stuff and get it produced now, so that I can get something produced in the future, but also, because I’ve been kicking around the acting world for so long, I have sort of a built-in patience and knowledge that it’s a slow process, so whereas maybe in my twenties, I was more frantic about when I’m going to get a job, now I kind of see that some of my legwork did actually pay off in some way, and you just aren’t sweating things as much. Speaking of that, do you think you have acquired more balance as you’ve gotten older or were you pretty balanced then? It’s changed. In my twenties, I was just acting really so mostly my plan was work as much as possible and stay busy. If you’re not in a show, get in a class - also, because I wasn’t writing, I didn’t have a creative outlet in my down time, so yeah, my philosophy was ‘stay busy’, and now I feel like that’s never a challenge. There are so many things I should be doing and plays that are half written, or things to apply for, or insurance to try to claim that I’m never at a loss for how I’m going to stay busy. When you’re at your computer for that chunk of time, do you try to stay away from surfing the web or Facebook and whatnot? I try and fail. There are friends of mine that install things on their computers that make it impossible to view the web for ten hours and then it comes back magically, and I’ve always thought, ‘come on, really? That’s just will power. I don’t need that.’ Of course, it doesn’t work at all and I check my email every twelve minutes or seconds so I think part of balancing it is getting honest with yourself and really trying to be attentive to what you need. I never really understood a writers’ retreat or a fellowship that takes you to a cabin for a week. It’s like ‘I have a house and a computer... I’ll just write there.’ And then you see why getting away is kind of necessary, so I think I’ve gotten smarter about what I need. Like I need deadlines, and I need to apply to things. Something that Ron Van Lieu (my acting teacher at NYU Grad) taught me was that you can play many different actions in a scene but you can’t play two at the same time. You can only play one thing at a time on stage or its just messy and confusing... so if you’re writing, you have to write. You have to get more diligent about protecting the time that you do have. So if you have that chunk you can’t schedule anything during that period of time, but of course you want to because you know you’re going to sit at your computer feeling bad. Do you ever feel good at your computer? Yeah, but you have to sort of wade through those rough times. Some playwrights take a year to write a play; some take a shorter amount of time; some take a lot of time in development and some like to work with actors. What’s your process? Most things that I’ve written have come sort of stuttering out over a long period of time. I’ve hear about those things where it flies out of the person, and I look forward to having those experiences, but for me it’s sort of like building a chunk at a time, but I think my tendency has been to rewrite as I’m writing which I think is a bad idea. It’s hard if I lose interest in the story that I’m telling. It’s tough for me to continue, so I need to constantly be intrigued by whatever I’m writing, but I think I’m learning the value of trying to get to an ending and deal with it on the way back and not obsess over it while it’s coming out of you. It’s two different experiences – writing and rewriting - both are important and need different things, so I think I’m slowly learning how to rewrite. 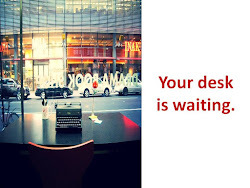 Do you finish your first draft and give it to people right away, or do you do another draft? I usually write a couple drafts before I show it. I might give something of mine to people that I’m close to but I wouldn’t send it to a theater or my agent. Do you have to hear it first before you send it out? No, I feel like – I don’t know if it’s because I fool myself that because I’m an actor that I can hear it in my head and that’s good enough. It’s probably a terrible mistake. I don’t feel like I need to hear it out loud. Are you looking for certain things when you give it to people? Are you asking questions or do you just trust their unstructured feedback? I think that one of the things I learned at Juilliard - prescriptive feedback wasn’t allowed and I think I always thought of that as some kind of politesse. I always thought “I’m tough. I can take it. Give me an idea and If I don’t like it I won’t use it, but if I do I will”, but I think I started to realize that if you’re writing your play, that your play is personal to you, and it’s dangerous to hear too many ideas from other people. It’s always helpful to hear questions and to hear what’s confusing. I used to be so eager about getting advice from everywhere and now I’m a little more specific about what I need, and what I want to know, and what I don’t want to know. When you have a play in production, how much time do you spend in rehearsal and what kind of feedback do you solicit from your director? I’ve only had two plays go up. Dutch Masters and The Young Left , my Cherry Lane play. We did Dutch Masters at Labyrinth and in both cases, it was with people I felt free to give my opinion to, outside but also inside the rehearsal room. I mean, I asked first if they were comfortable with it, but I’d be quick to jump in with my six cents and again, similar to the notes idea, I’m learning some of the possible drawbacks of that... my desire to offer my “helpful” advice. They’re all things I should of course know, because as an actor, I’ve experienced multiple opinions in a room and, again, would always like to think, “yeah but we’re adults and we could be like ‘ok that was two ideas in the room, what are we going with or what do we think?” But just there being multiple opinions in the room can be - even if you’ve decided on one – the other one can stay with people. I’ve also been trying to rewrite during these rehearsal processes, so I also look forward to the day that I’m putting up a play and it’s just done. I know plays are never finished, they’re abandoned, but I think your question was, ‘do I like being in the room?’ and I think that because I’m a green, nervous writer, sometimes I like being there and babysitting it, but I also think it’s probably healthy not to be there a lot of the time. I don’t always love a playwright in the room all the time when I’m acting. I’ve wondered about that. Does it make you more on guard as an actor? It depends on the situation, but it can. 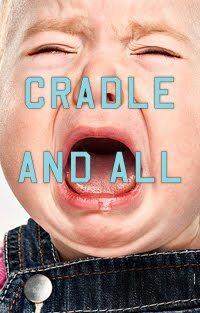 I'm in a new Daniel Goldfarb play at MTC, called Cradle and All. We started previews in May and then I go to the Berkshires at the end of June for Dutch Masters and I put my writer hat on. Do you have something brewing or working on your desk at the moment? I have a couple things: a play that I hope to bring to the Labyrinth summer retreat and a couple other things that are in varying states of done-ness. Do you work on multiple plays at once? I hit a problem spot in one and then I abandon it for months and cheat on it with another play, and then come back and try to work myself out of a hole. I remember Jose Rivera said something that I think is right, but I haven’t done yet, which is that you can work on two things at once, but you shouldn’t be doing two drafts at once. If you’re doing two things at once, one should be a first draft and the other should be a second or third draft because they are two different impulses and you should allow the creative impulse its full due. You can see Greg in MTC's Cradle and All at City Center Stage I now through June 19th. Get info and buy tickets here. His play Dutch Masters begins previews July 19th at the Berkshire Theatre Festival and runs through August 6th.